Lodge Farm House in Elmstone near Preston, Kent was a large and multi-aspect Georgian cottage restoration project. The owners: Kim & Martin Searle originally bought it as a family home, but when Kim fell pregnant they decided the property was actually a little too far out to bring up children. Instead they decided to do it up and rent it to a local farmer whose land runs adjacent to the garden. When we first saw the farm house all the fittings were outdated, the walls were rather shabby and the electricity circuits were all over the place! 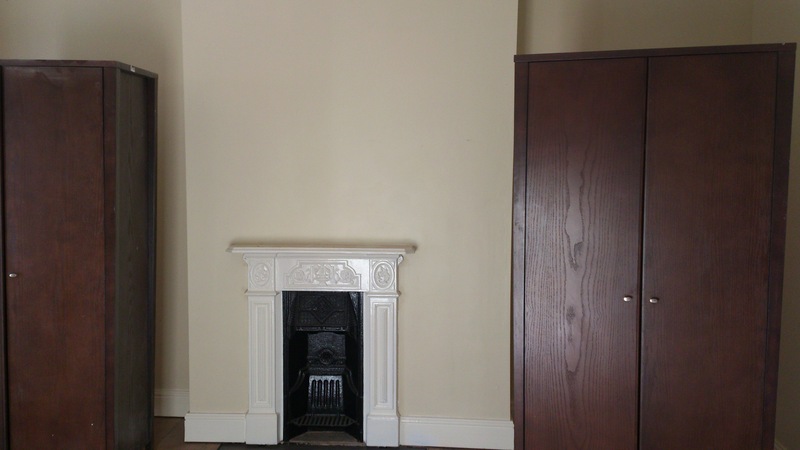 However; the rooms were all of good size with lots of sash windows, shutters and some stunning original fireplaces. 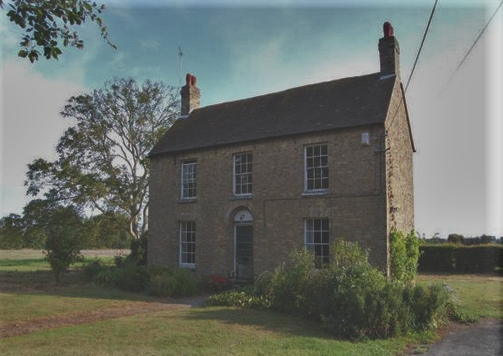 We spent several months at Lodge Farm House re-running the ring mains in a more logical fashion, plaster boarding & plastering the stairs, walls and ceilings, installing safety features such as fire alarms, painting and wallpapering until the house looked like the airy, comforting home it was made to be. 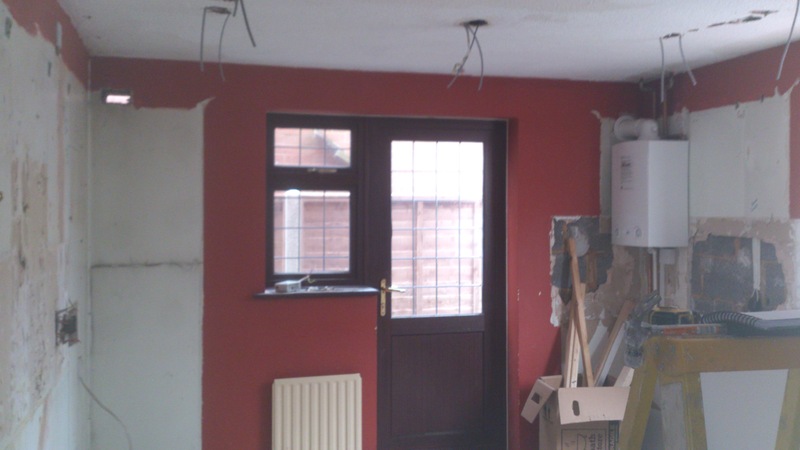 The kitchen was completely ripped out, down-lights wired into the ceiling, re-boarded and re-plastered. 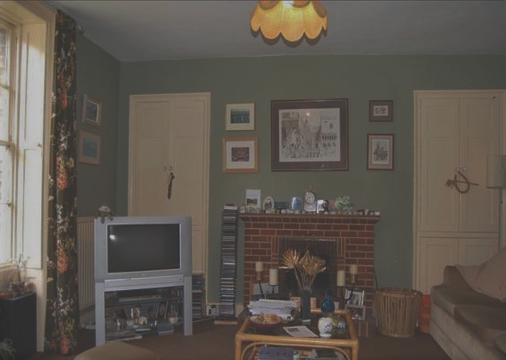 Due to the length and nature of the job, we had to pop in and out several times to other jobs while other tradesmen did their bit, but as the property was vacant at the time this was no problem and it gave both us and the owners more time to make the best decisions for the properties future. Aside from general rewiring and plastering, the longest individual section of the job to complete was the renovation of the stairs. 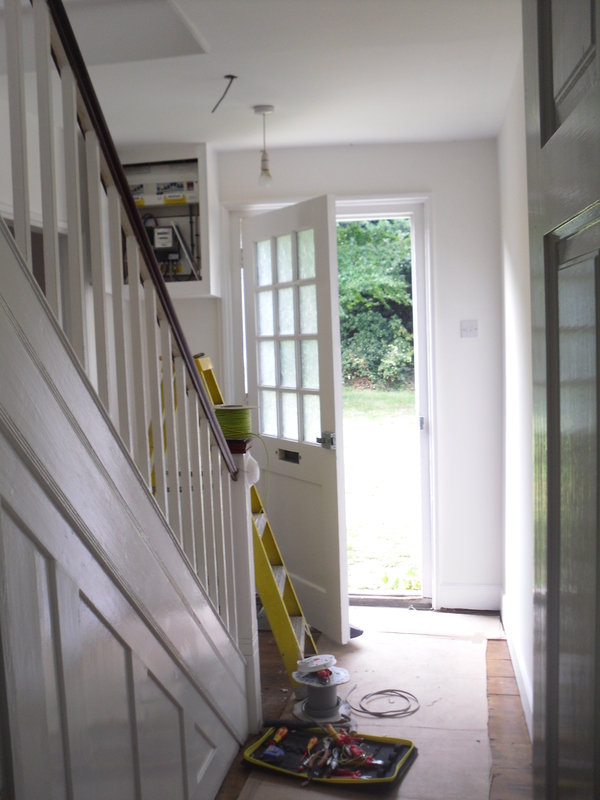 The paint was stripped, the wood sanded down, boarded over and plastered. 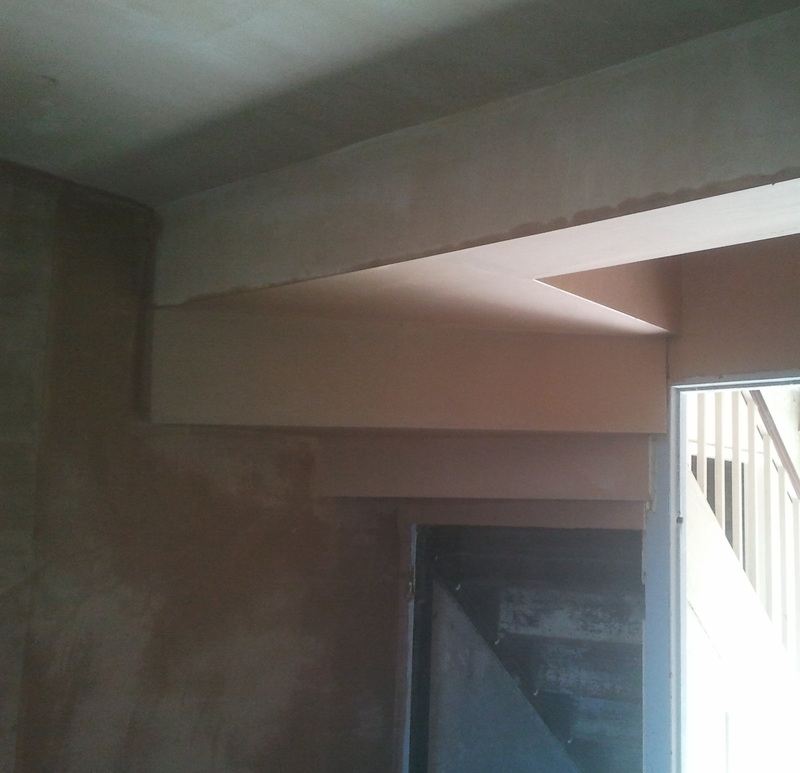 The bottom half of the stairs which forms the ceiling to the larder style cupboard shows the original state, whilst the upper half shows the cleaned up, finished kitchen level stairs. 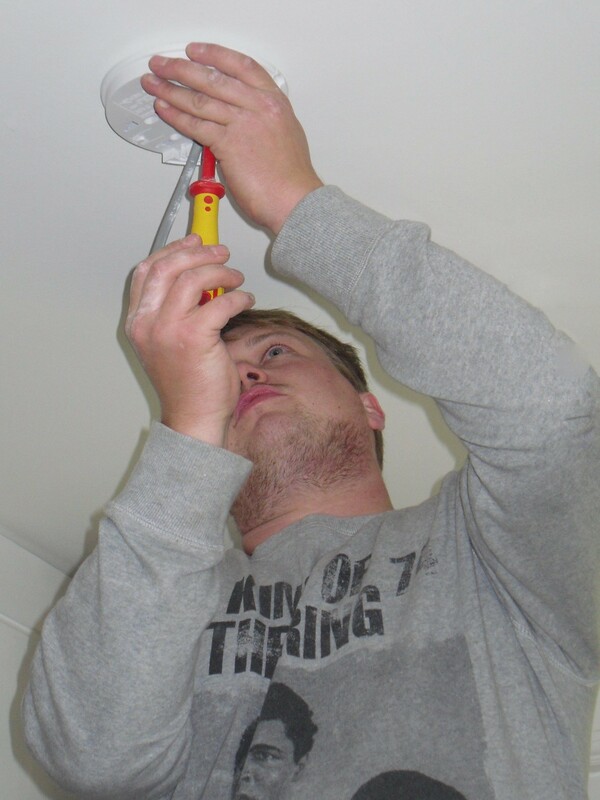 Gareth was often able to have multiple aspects of work going on at once as he was doing both the plastering and electrics. 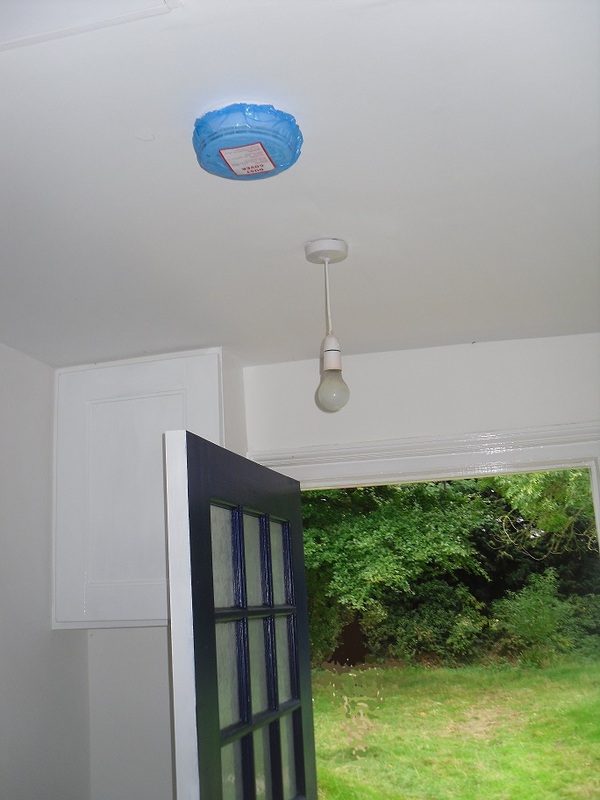 For instance 1st fix electrics (installing wiring, etc) needs to take place before plastering, then 2nd fix electrics (fitting ceiling pendants, socket plates, etc) which would normally require the electrician to go to the same job twice with a gap in the middle while a separate plasterer came in. Overall Lodge Farm House was a fun project to work on with the gorgeous drive to work each day being an added bonus! You can call us on 07803417098, email info@gpelectricalandplastering.co.uk, search for GP Electrical and Plastering on facebook or fill in the form on the ‘contact us’ section of this website. Nice post. I learn something new and challenging on sites I stumbleupon everyday. It will always be interesting to read articles from other authors and practice a little something from other websites.